People want to know what you use to make your game and will ask questions based on this. One particular engine isn’t the same as the other so you can not give one broad answer like you can with art programs. Twitch integration is very important to streamers who stream game development. It creates a lot more interaction with your chat because for a large part it is the role they will be playing when the game comes out. Twitch integration does not work with every game, it is very genre-specific whether it will work and if chat would even want it. As a streamer, a game with Twitch integration helps you interact with your stream a lot more. From a viewer’s point of view, it lets you interact with the streamer in a very different manner than you normally do. So this should be motivation for game developers to allow for integration if the game/genre allows for it. As a developer you need to keep an eye on not getting lost in how much you want to integrate Twitch. It’s a fairly new feature with a lot of possibilities but it is important not to rush to all of these because mistakes are easily made. A at first glance very simple feature can very easily take six months to implement. 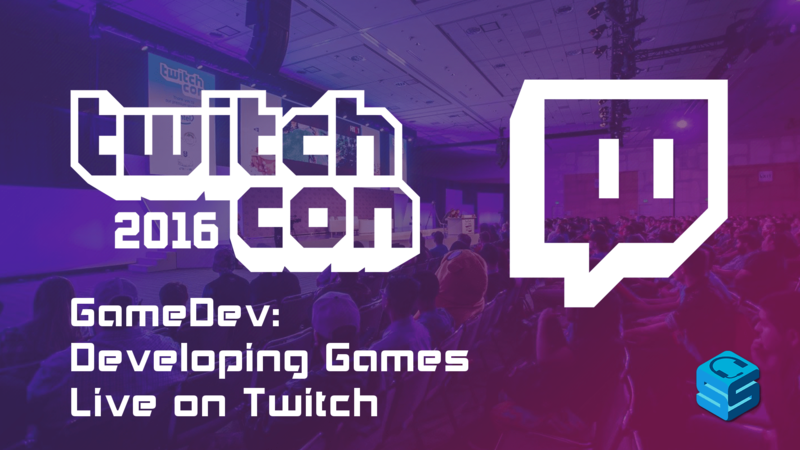 Twitch now has a programming section, used to promote programming and streaming that process. The general opinion is that the hashtag system works fine. It works really well with sharing your stream on social media like Twitter. For new streamers, it’s important to use the correct hashtag or people won’t be able to find you. It’s important to keep to a schedule. People rely on some of the things you are showing/teaching them so it is important for them to know when they can find you live. Streaming your game development has it’s pros and cons. Streaming development of games for VR is not a thing yet. Having to constantly hop in and out of VR to check what you’re working on is right and having to catch up on chat is not doable till they allow you to do the actually coding while in the VR environment. AR however is going to make a bigger mark on streaming game development, it is widely accessible to everyone right now and especially Pokemon GO has sparked a lot of interest for this. It is beneficial to befriend ‘regular’ streamers. There’s a lot you can learn about how to stream and once your game is done, they are the people that are going to play it and show it to a wider audience.